Many of us maintain our fitness and health through proper nutrition and regular exercise, in addition to visiting a physician for regular checkups. However, you can also commit to dental hygiene maintenance by properly brushing, flossing, and regular dental teeth cleanings from a registered dental hygienist. By simply committing to these everyday tasks, you can drastically improve the overall health of your teeth and gums, ensuring your next visit to the dentist is an easier one. All it takes is a bit of commitment, and a visit to the dental office a few times a year to ensure preeminent dental health. A teeth cleaning is a procedure that a dental professional administers in order to remove plaque, tartar, and bacteria from the teeth and gums. These all may result in gingivitis, periodontal disease, as well as tooth loss. First, a dental specialist employs an ultrasonic cleaner and water sprayer that will remove plaque and tartar. Then, they will remove additional tartar by hand using a specialized scraping utensil called a hand scraper. Once the dental professional is done scraping away the plaque and tartar, they can then clean and polish the teeth with a specialty dental toothpaste. For patients that need deep cleanings, our team might scale and root plane the teeth. This involves using a small instrument called a scaler or cleaner. Dentists and their team use this tool to ensure a deep, thorough cleaning for optimal oral health. For some patients, dentists will administer antibiotic fiber into small pockets that this process created between the teeth. This simply expedites the overall healing process while reducing bleeding and lowering the potential risk for infection. 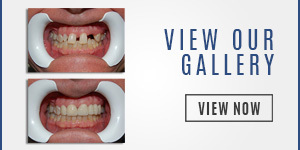 Scaling and root planing work ideally when accompanied by every day, proper dental care. Teeth cleaning procedure help patients defend against gum disease and maintain beautiful, natural teeth. However, this is only part of the job. The rest is up to dental patients to commit to maintaining the good work at home through brushing and flossing. A regular, professional teeth cleaning in Miami represents a crucial component to dental health. However, it additionally benefits overall patient health. Poor oral hygiene may lead to a number of serious health issues that may include heart disease, stroke, cancer, and diabetes. In fact, medical specialists have developed a strong link between gum disease and cardiovascular disorders. For this reason, regular dental hygienist visits for cleanings and screening are vital. While the dentists remove plaque and tartar buildup that regular brushing and flossing might’ve missed, they take a look at your mouth to ensure everything is going well. Regular dental cleanings can help you reduce the risk of developing more serious conditions that dirty teeth. A common affliction for those that do not care for their teeth is oral cancer. When a dentist can detect this condition early on, oral cancer remains highly curable. This is why routine oral examinations are so important. A dental professional can make a diagnosis simply by observing your gums. The gums and gum line provides a plethora of information about your general, overall health. This includes information they impart concerning warning signs for diabetes, anemia, and leukemia. Additionally, practicing a solid oral hygiene regimen in your own home will help you maintain the best possible oral health. Nevertheless, situations may still arise that require the attention of a dental professional. 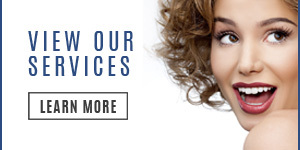 Do you want to ensure your smile remains bright and healthy? You should certainly take some time to visit a dental hygienist at least once per year. Visiting a dentist for regular dental cleanings can dramatically impact your overall outlook about your dental and general health. When a dentist can detect early signs of potentially devastating conditions, you can react and treat these disorders quickly, often meaning the difference between life and death. Dental hygienists also serve patients from a cosmetic standpoint beyond concerns of missing teeth. They remove derivative stains on teeth caused by coffee, tea, tobacco, and numerous other sources. If you manage your oral care from your home while scheduling and attending regular teeth cleanings, this may increase your chance to retain your original, natural teeth. You may also enjoy better overall health and wellness levels throughout your daily life. 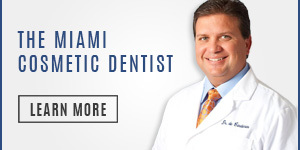 Miami’s Dr. Andres de Cardenas and his dental team wants to let every potential patient know that when you come into our office for a cleaning or other procedure, we take a look at you as an individual. Our staff treats each patient as a member of our very own little dental family. Dr. de Cardenas’ goal is to provide extraordinary service while helping patients keep their teeth and gums as healthy as possible. You can accomplish this by attending regular checkups with our dental hygienist, and committing to comprehensive oral care from home. For assistance and information on ways to make teeth cleaning in Miami a regular tenet of your health and wellness regimens, contact Miami’s Dr. Andres de Cardenas today to schedule an appointment. You can reach out through our convenient online form and we will be in touch shortly. After a short discussion with our Miami dental hygienist, we can help show you the numerous benefits that stem from regular dental teeth cleaning.